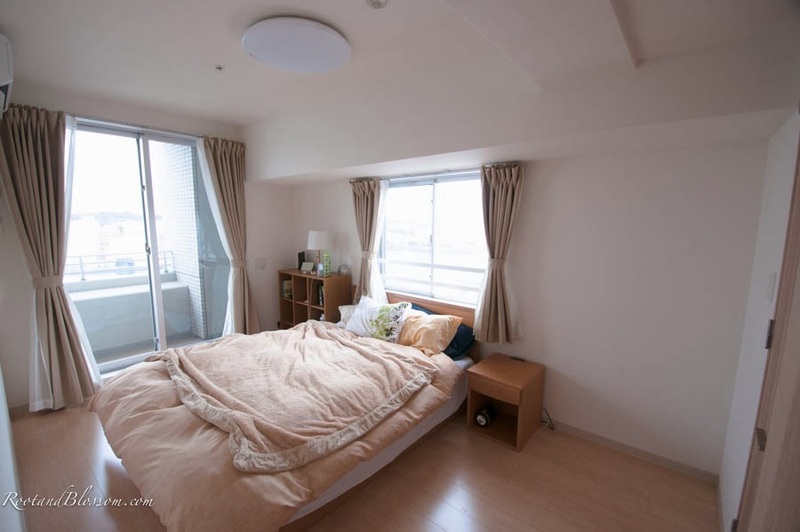 I had every intention of posting photos of our place earlier but between not getting our boxes until a month after arriving (They actually were delivered before we got to Japan but the mail people messed up and didn't log it or something... which they didn't admit. Somehow made it our fault.) and deciding to get a wide angle lens and wanting to wait for that to take photos so it has officially taken me 2 months to share! 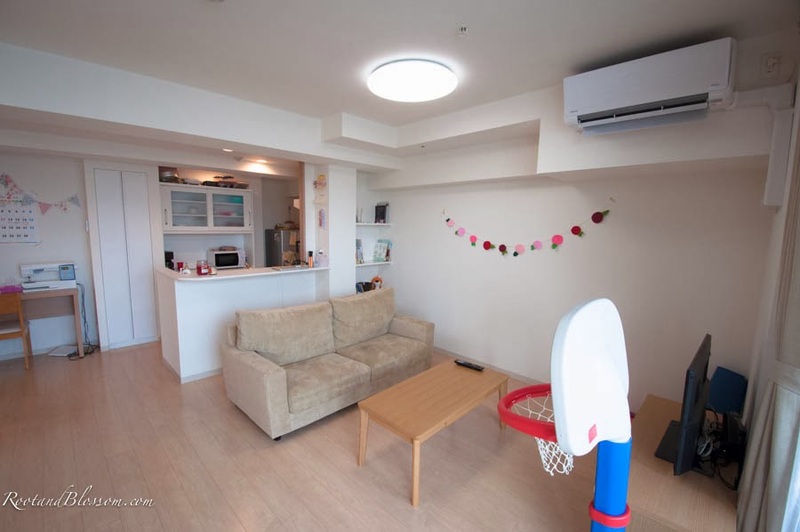 Don't be fool, you assumed correctly- Japanese apartment are actually pretty small. 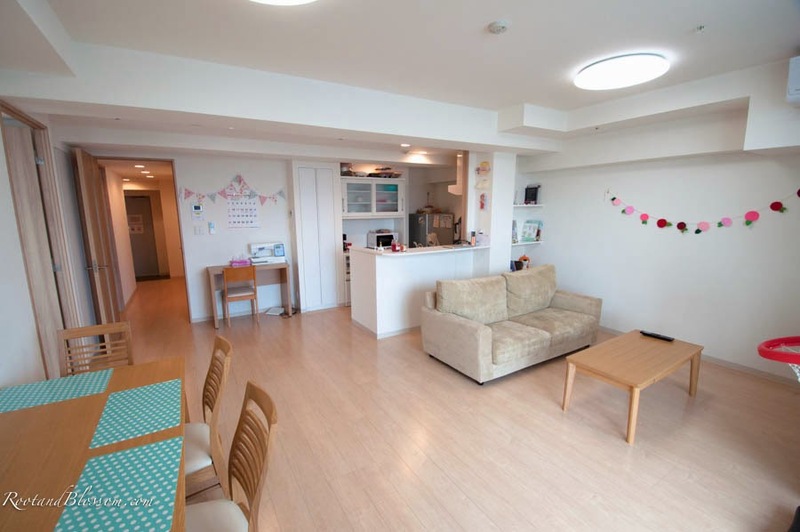 Yes we are living in an apartment in Japan but we are in 'Americanized' apartments. 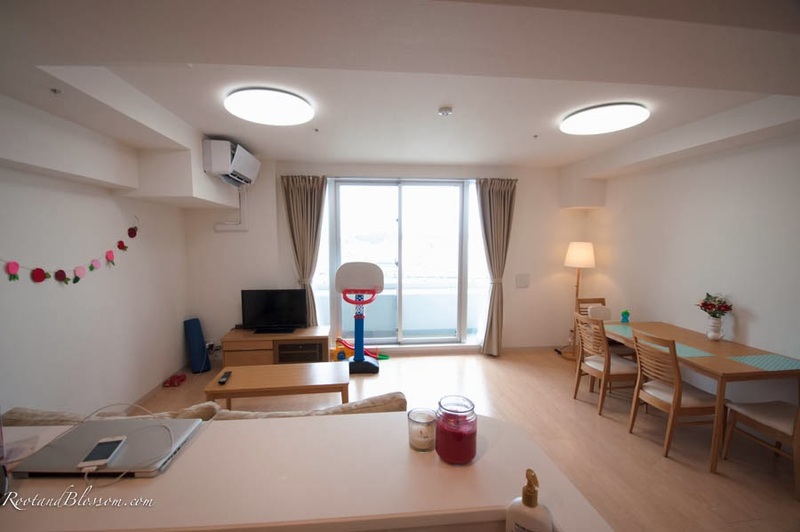 My husband works for the Naval Shipyard and a Shipyard employee was actually a part of the design team to make sure these apartments were 'American friendly,' thus we have quite a bit of room. 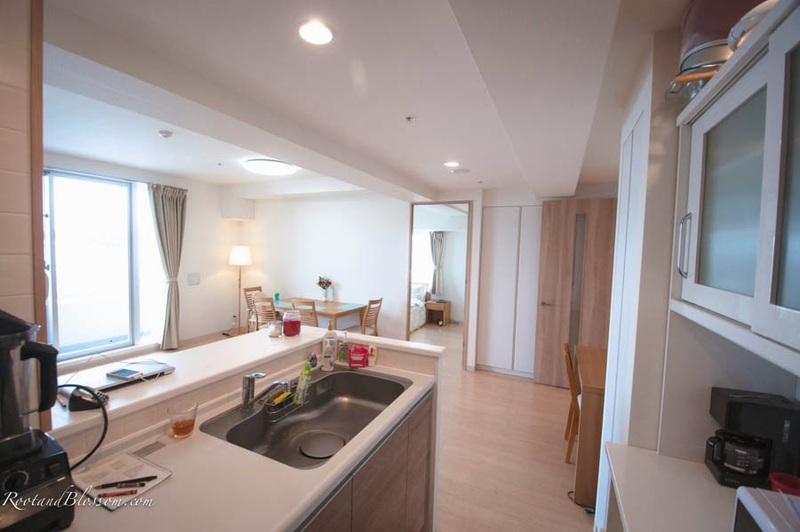 We are in a two bedroom apartment on the 10th floor of Liberty Cove House. 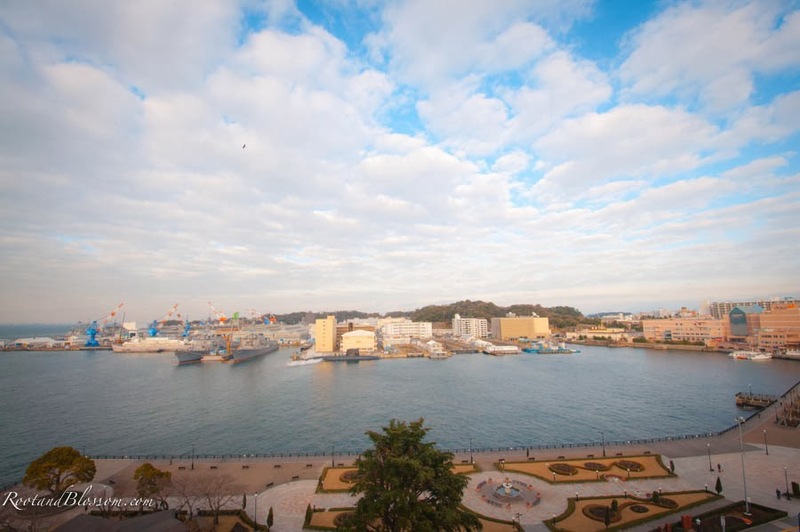 Our building is located directly next to the JR Yokosuka train station and immediately across from the base. 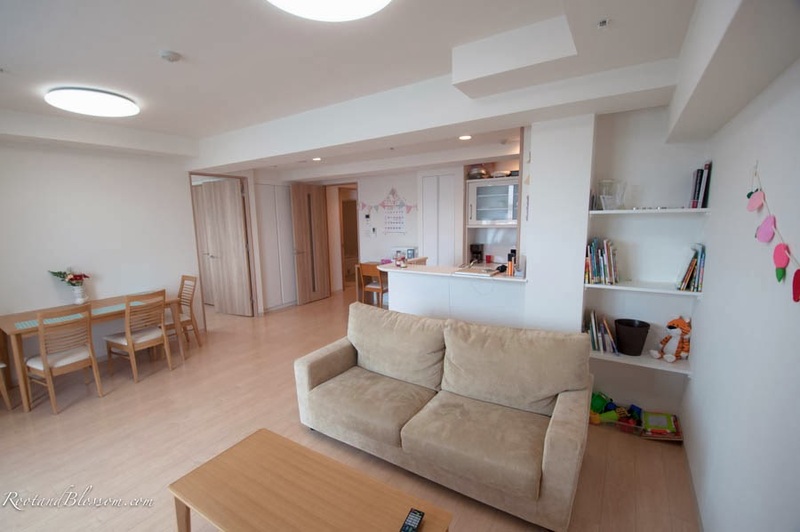 Our location is a big difference from last year at Sakura where we lived about a mile from the train station and five miles from base. The location has made a huge difference this year for both the bad and the good. Chris worked grave shift the first 5 weeks of the project and if we were at Sakura he would have spent a lot of his time traveling to and from work (a shuttle was only offered for day shift) but here at Liberty cove he has a 25 minute bike ride. For me the 'bad' part is that I don't have as much mandatory walking this year. I know, not really a bad thing but it was kind of nice "having" to walk so much every day. We've been asked quite a bit if we like Liberty Cove more than Sakura and honestly the location of this place makes life/work so much more friendly for Chris that Liberty Cove takes the cake. However, if both buildings where right here downtown Sakura might win for me by a hair. 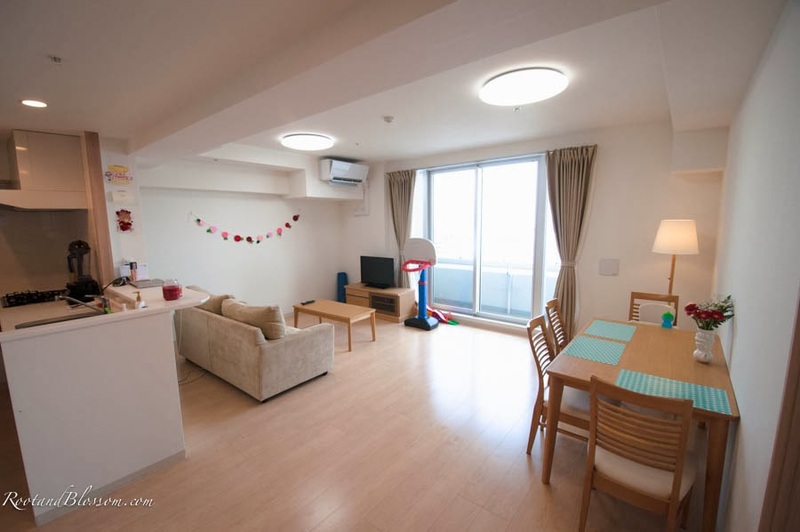 Sakura seemed to be a bit more furnished with 2 fridges/freezers, 2 beds, 2 bathrooms, and a few extra kitchen items. 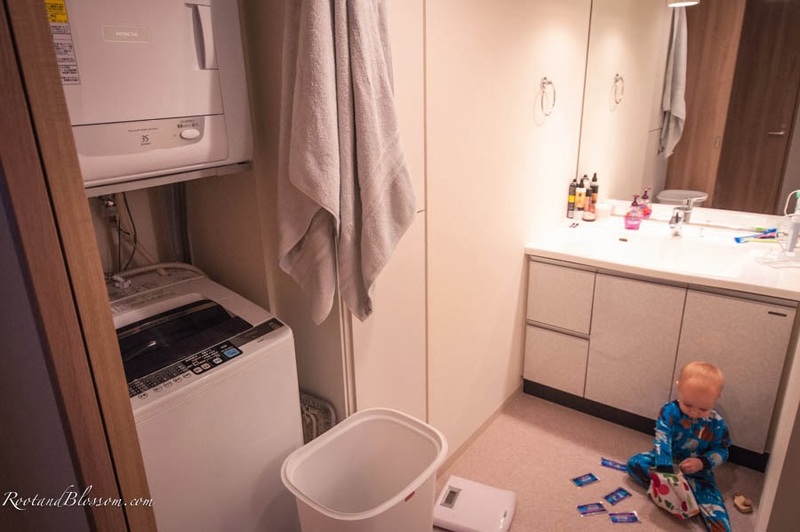 Honestly it's not like were roughing it here in Liberty Cove, we live a very comfortable life but if I really had to choose between the two I would need to get knit picky because they are so similar. Anyways enough of the blabbing, here's a tour of our place! 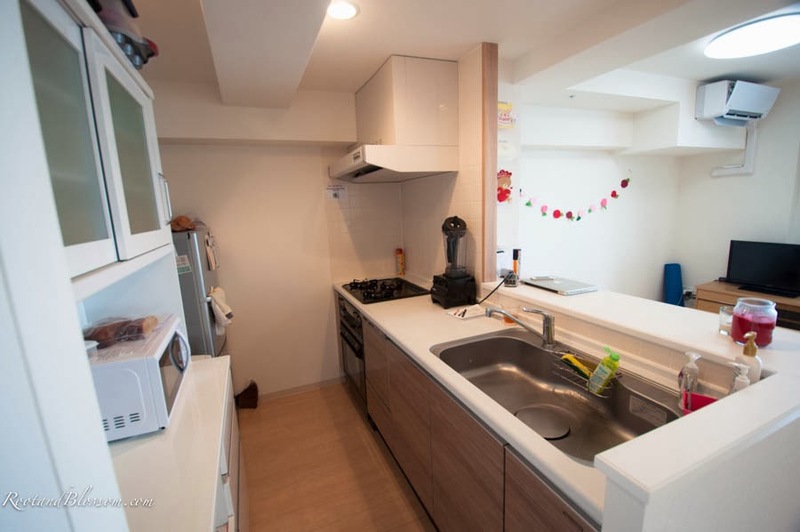 This is the main room with a nice American open concept- kitchen, dinning and living. We rearranged the furniture quite a bit between the bedrooms. That desk the sewing machine is on was in Chris in my room (which was original the second room sans bed). I love how the kitchen looks into the main room so I can watch Gabriel while cooking and washing dishes without having to turn around but it's very narrow. I get a little claustrophobic when it's more than just me in there. To the right of the table is the door to Chris and my room. View from our sliding glass door off the living room. That's the base right across the way and Verny Park below. Down the hallway is the bathroom on the left and the toilet room on the right (you'll see what I mean soon) and a little farther down is Gabriel's room (original master) on the right and two closets on the left. Chris had to disassemble the bed to move it to this room. The first night Gabriel slept in here because it was the room without the bed and he has his pack-n-play. The reason why we decided to switch rooms is because Gabriel goes to bed pretty early and the second room is off the living room when the master is down the hall and the hall has a door you can close so essentially he'd be behind two closed doors if he was in the master. The master didn't have any view (just a fogged window because it points into the heart of the building) and we wanted the corner room to look out across Yokosuka! 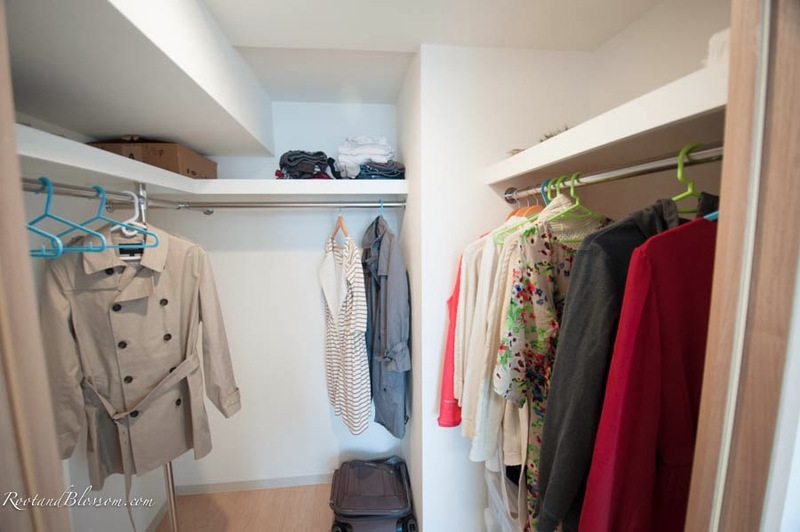 Our walk-in closet is larger than both our his and her closet at home combined! Gabriel is not a camera kid, he just doesn't care, but on this day as soon as I lifted the camera he ran into the middle of the room and posed. Bedtime essentials- water bottle, cuddle blanket, sheet, and Hop on Pop! I LOVE the shower/bath room! It's so hard for me to get the chance to take a shower when Gabriel is awake and when he's napping I usually have so many other things that take priority. With the tub/shower room I can put him in the tub and I can take a shower. He loves having me put the shower head on the lower (children) slot after his bath so he too can take a shower. The toilet room. It's strange having a room for the toilet but it makes sense. 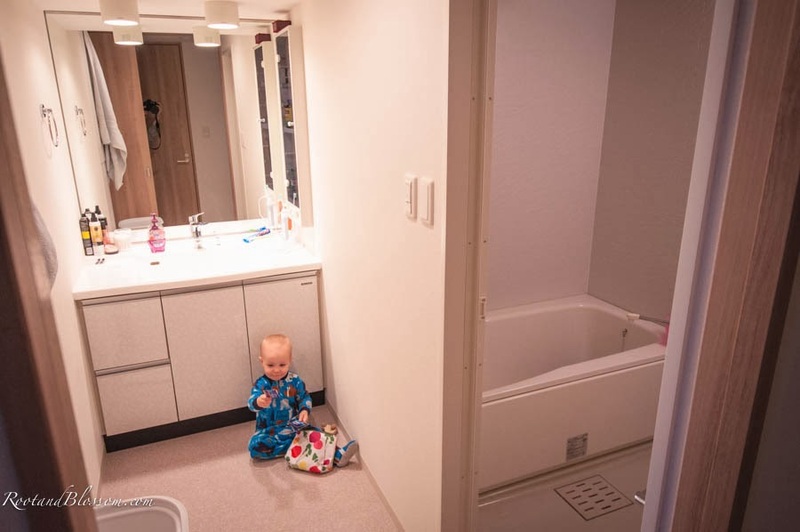 In American bathrooms if someone is brushing their teeth, using the mirror, taking a shower or using the toilet the bathroom is completely off limits to anyone else but with the sink, mirror, shower, and toilet being in completely different spaces it makes it all more efficient and available. 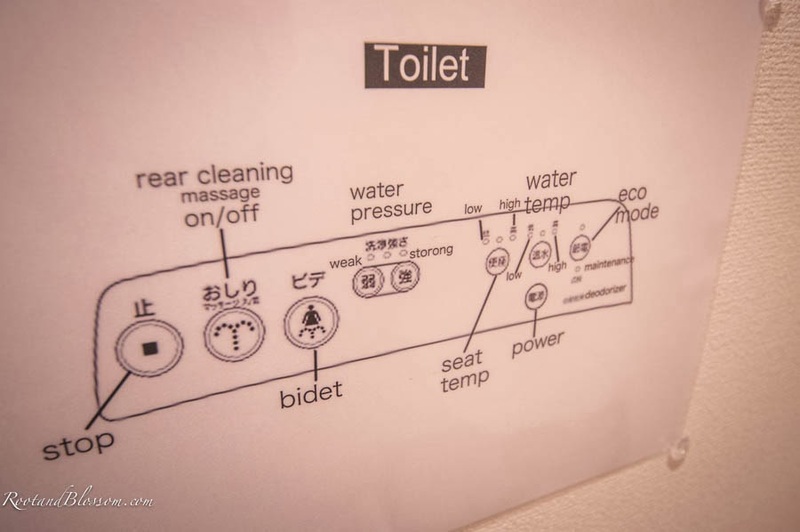 And yes our toilet came with instructions. 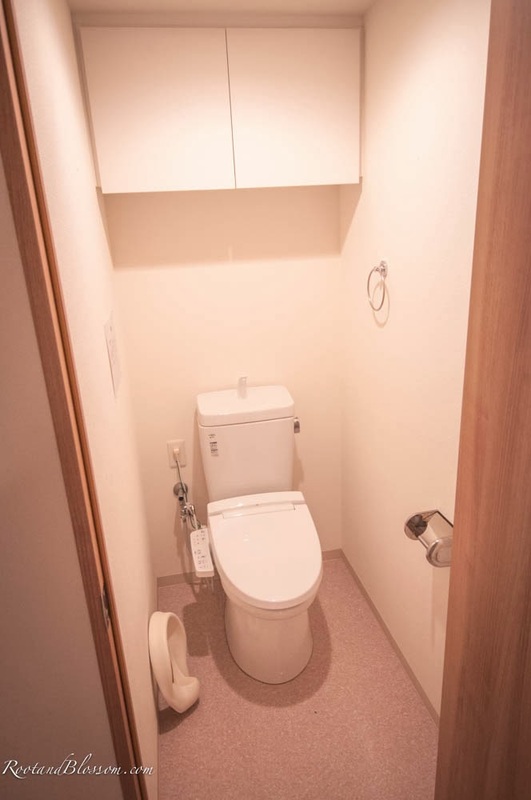 These are typical toilets for Japan and not as fancy as they come. 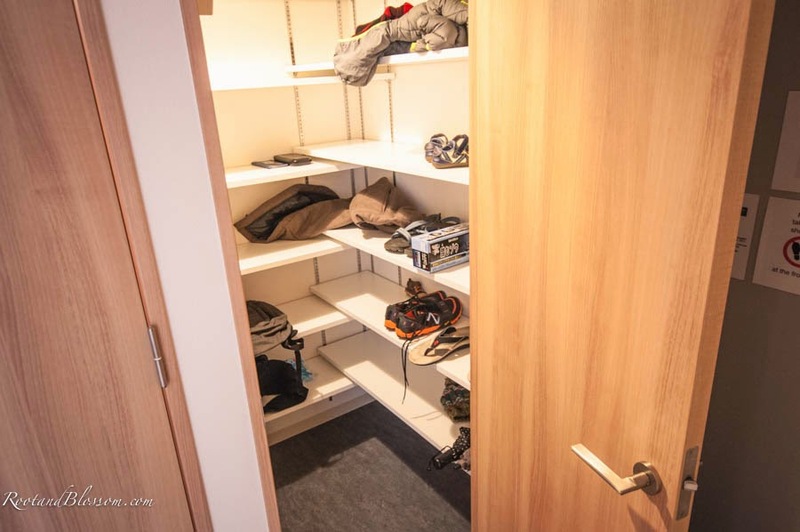 We joke that we have way too much closet storage space on our hands and that if we could put it all in one place that we'd have a whole third bedroom! 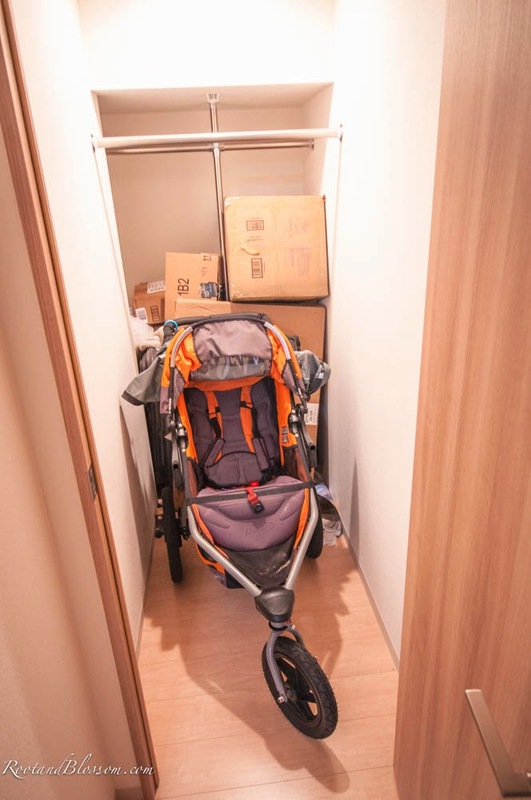 We stash the our luggage around the corner in this closet as well as boxes we may use to ship stuff home and the stroller. 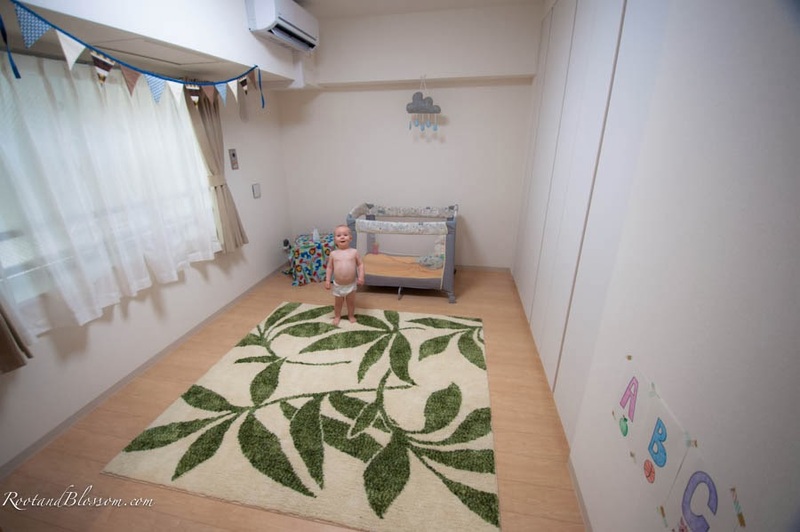 The Japanese are very big on not wearing shoes in the house (you have house shoes). You also don't wear your shoes in the changing rooms in clothing stores and some traditional restaurants. Just a friendly reminder for us to take off our shoes, to not smoke and to conserve energy. Well this has been our home for the last two months and will continue to be for a few more! Thanks for visiting! I love your apartment! Thanks for sharing with us! 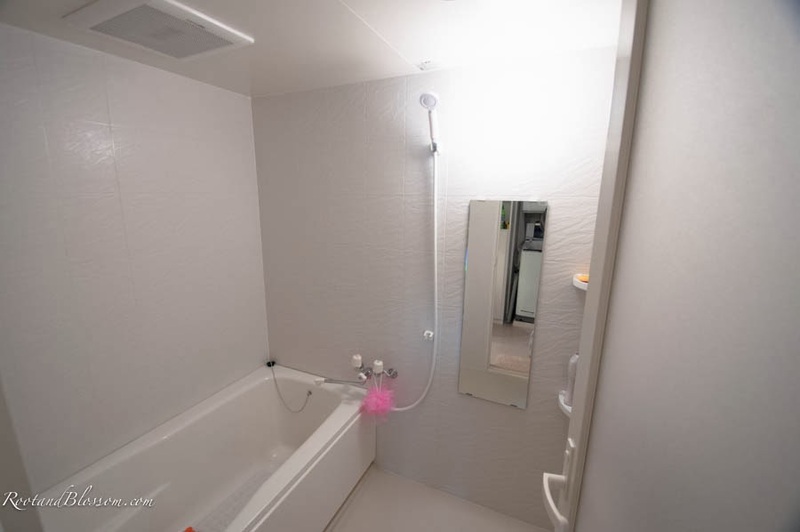 That bathroom/shower combo is an excellent idea! Also, I can't for the life of me figure out WHY they would have the front room NOT be the master! What an amazing view and so much light! 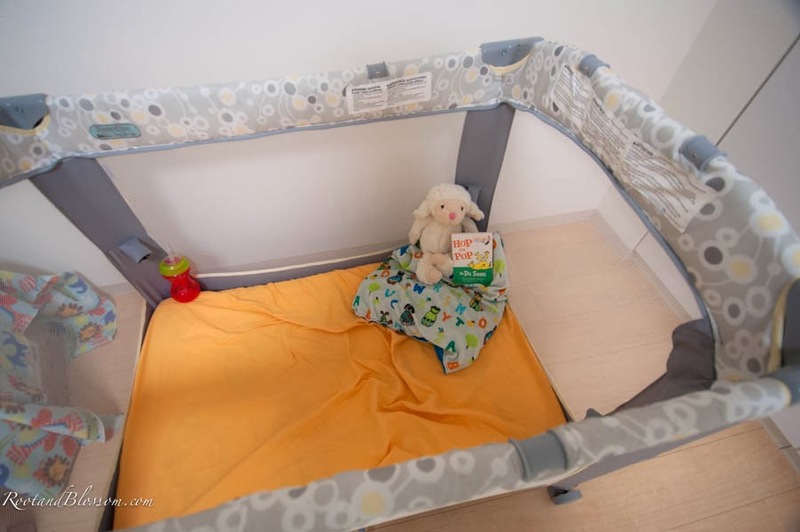 I like how you have Gabe's room set up, too! Also, random question...does he sleep in microfleece jammies? That's what Ben sleeps in and I'm always worried he is too cold. That is such a cool apartment and such a beautiful view. I think the shower room is genius! I would like to go to Japan but my husband has no desire to go, boooo! I'm living my dream vicariously through your posts. I'm pretty sure I would gain a bunch of weight eating my way through Japan haha. Minimalist living at its finest. I really like your apartment and all that storage! I love the nook you have set up for your sewing machine. So cute! I love how bright and airy the entire space is! So bright and open! What a view! 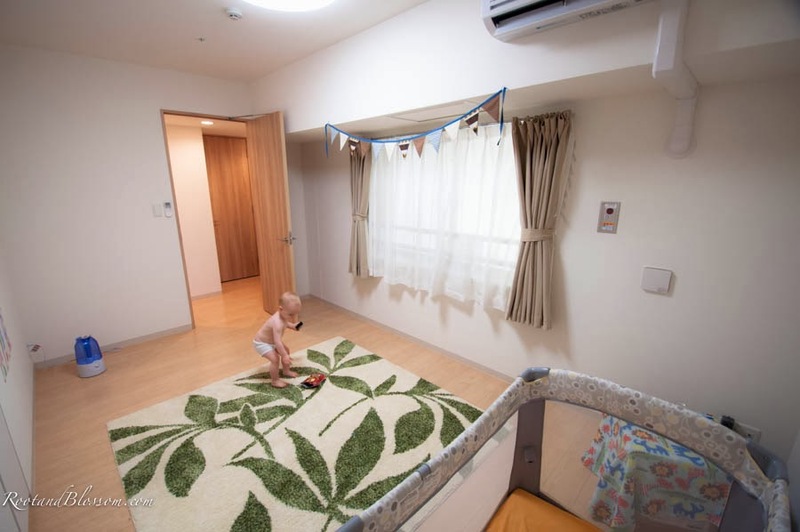 Living in Japan has taught us so much about where we want to put or focus and priorities. Every time we get home we spend the first few hours after walking in the door of our house pulling stuff out of cupboards, closets, and the attic making piles of sell, donate, and trash. It worked out perfectly! I absolutely love having my machine here. I was wondering if I'd have a "good" place to keep it set up and sure enough it all worked out! Thanks! I had more touches last year with pictures and frames and stuff which I miss but when we traveled over here we weren't positive we'd be extended so I felt silly bringing pictures and all if we were only here for two months since I was bringing the sewing machine and vitamix no matter what. I didn't know that about Canada! Ha, I guess (like usual) us American's are the odd ones. 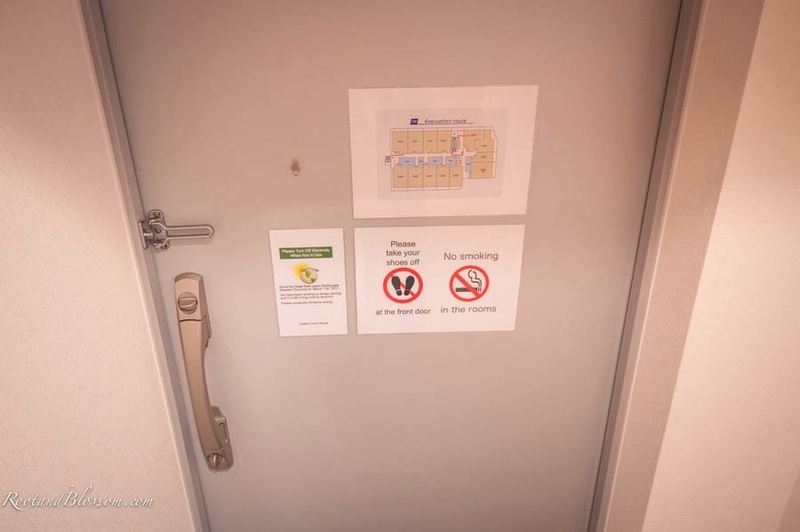 Toilet 'rooms' are standard here in Aus too. Until I went to the States I had no idea it was different anywhere else, but when you've lived your whole life with the toilet in the bathroom it can be a weird novelty - just ask my husband!! He still comments on how weird he finds it, hehe. So cute! 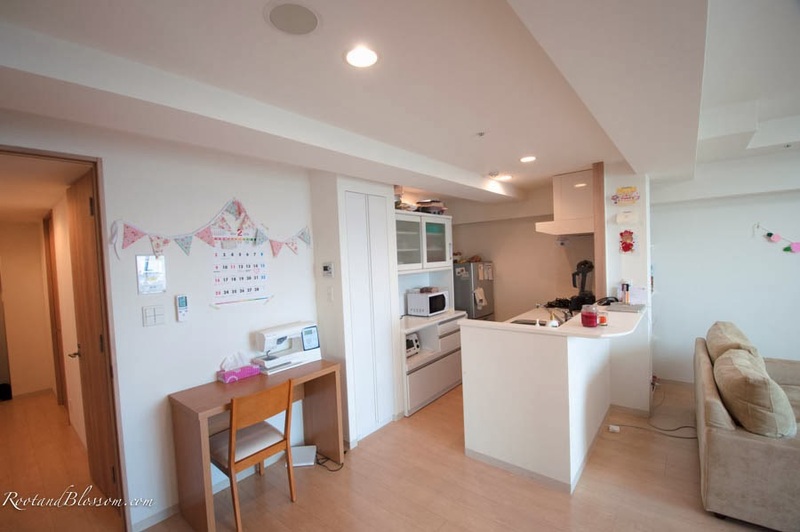 I love the open floor plan and how bright it is. 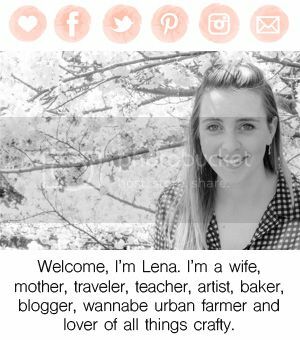 I love your little banners and bunting, it adds such a cute touch and charm. And I also like the toilet being in it's own separate area! Adorable! Love how you made it feel homey! Beautiful! Everything looks so bright & open, and I can't believe your view! Gabriel is just too stinkin cute posing for those photos ;) Love seeing home tours & all your adorable buntings!